After a year notable for the extraordinary, in weather and in much else, November has rolled around once more. 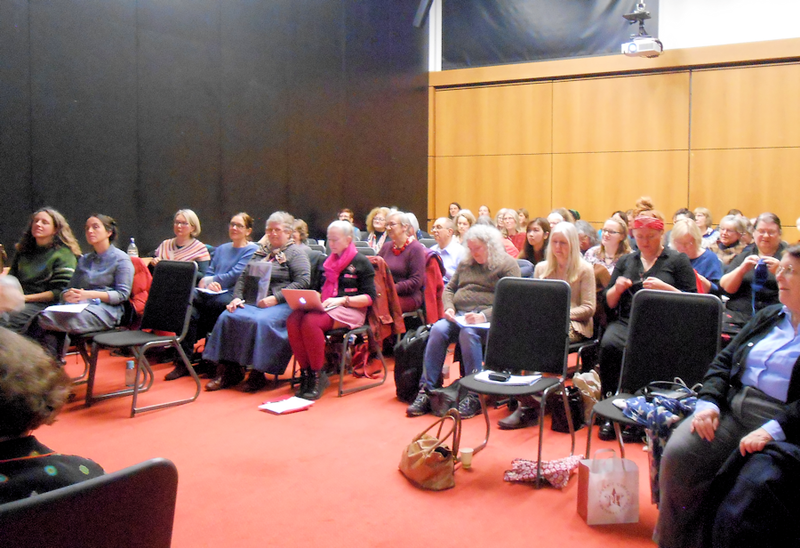 Knitting History Forum’s unique annual conference and AGM for 2018 was held last Saturday. The day’s proceedings informed, amused and intrigued. The conference itself was packed with more papers than at any previous KHF event. Six very different but equally eloquent speakers presented. 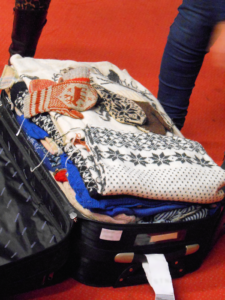 Our Chair Prof Sandy Black opened proceedings, then Annemor Sundbø opened an apparently unremarkable suitcase to reveal a wonderful selection of knitted garments she had rescued from destruction. 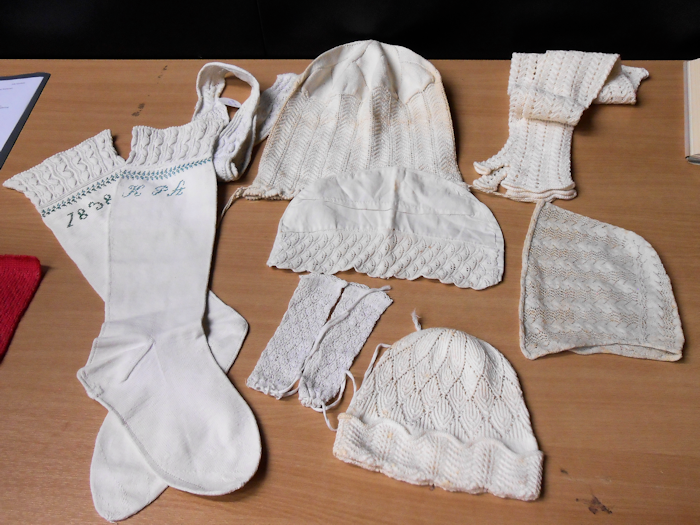 These treasures, ranging from the strictly utilitarian and functional to highly decorative expressions of love, form a record of Norwegian knitting traditions and dress history, many with signs of multiple repairs and multiple lives, such as cardigans and jumpers turned into underwear or swimming costumes. 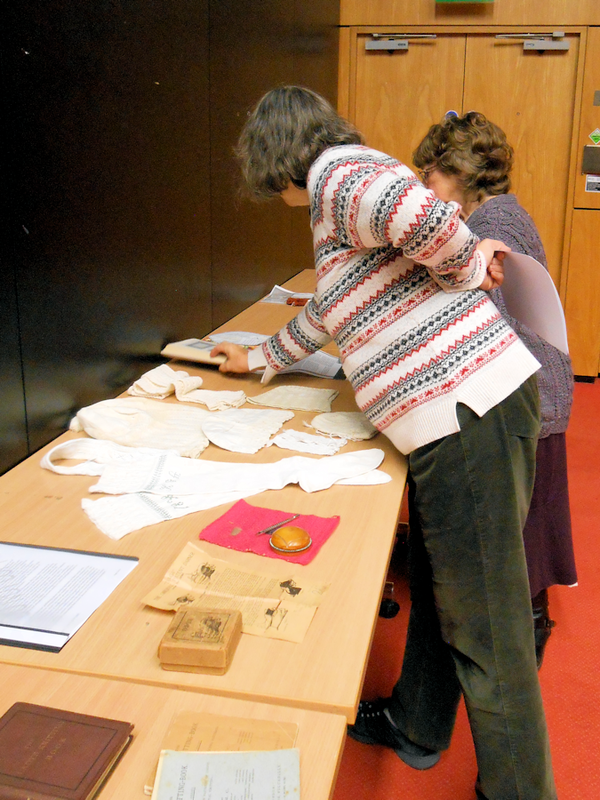 Celia Pym’s paper followed on directly from this, beginning with a jumper from Annemor’s ‘ragpile’ that Celia had visibly darned in white wool and going on to deeply moving accounts of repair work, including two well-loved jumpers, one belonging to her family GP Bill, and the second to Celia’s great-uncle Roly, which involved adding to her great-aunt Elizabeth’s sturdy and very individual darning. Celia Pym presents a paper at KHF AGM & Conference 2018. Photo by Jane Malcolm-Davies. 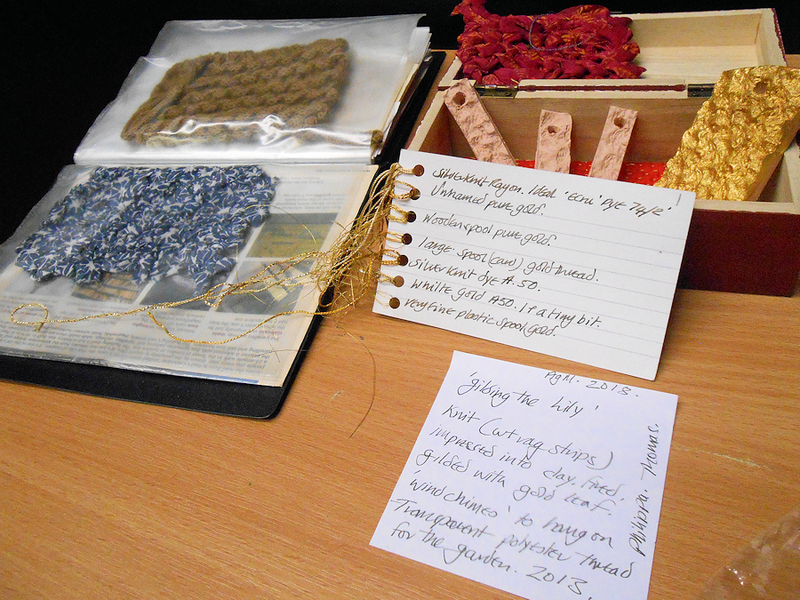 Nineteenth-century and reproduction knitting from the collection of Gieneke Arnolli, at the KHF AGM & Conference 2018. 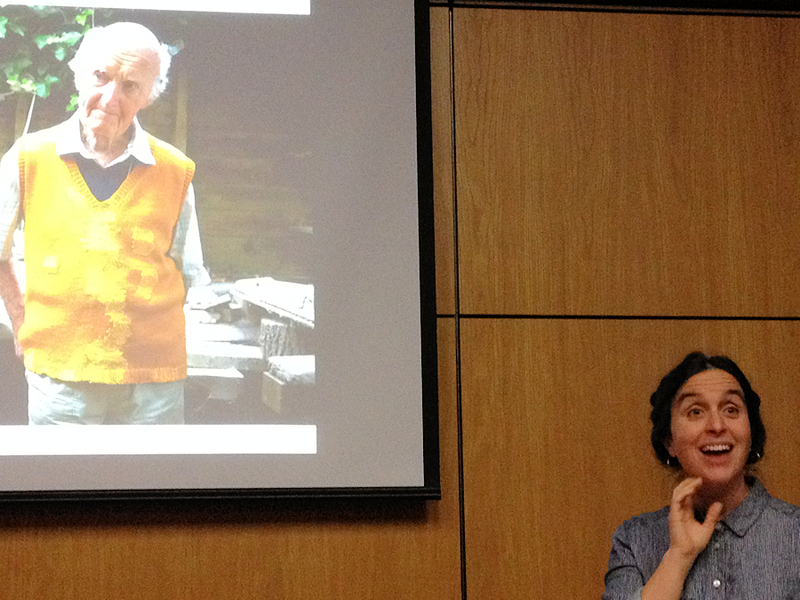 Rachael Matthews discussed her work as textile artist, writer, teacher and activist with refreshing honesty. Her paper took the form of an humourous but candid alternative to her recent book, expressing knitters’ struggles and low points illustrated by examples from Rachael’s own practice and experience and observing truthfully how knitting can divide as well as unite. Jana Trepte examining a recovered fragment of knitting in Bremen. Photo by Jane Malcolm-Davies. After a short break, the conference resumed with Cary Karp speaking on the use in Great Britain of hooked-tip knitting needles, the distinction from and adoption of crochet hooks and the terminology and structure of the different techniques. His precise and incisive paper, tracing this history through the published work of nineteenth-century knitting writers, was a model of clarity. Jana Trepte’s well-received paper examined the fragments recovered in Bremen of everyday knitted garments of the early seventeenth century and concentrated on one large piece from a knitted wool waistcoat with knitted-in shaping, comparing it to surviving examples of elite waistcoats of silk and wool. Ellie Reed’s paper presented an evaluation of the target readership of ‘Woman’s Weekly’ in 1958. Her analysis of the social and cultural significance of ‘ordinary’ domestic knitting as presented in the magazine was confirmed and expanded by the memories of several delegates. 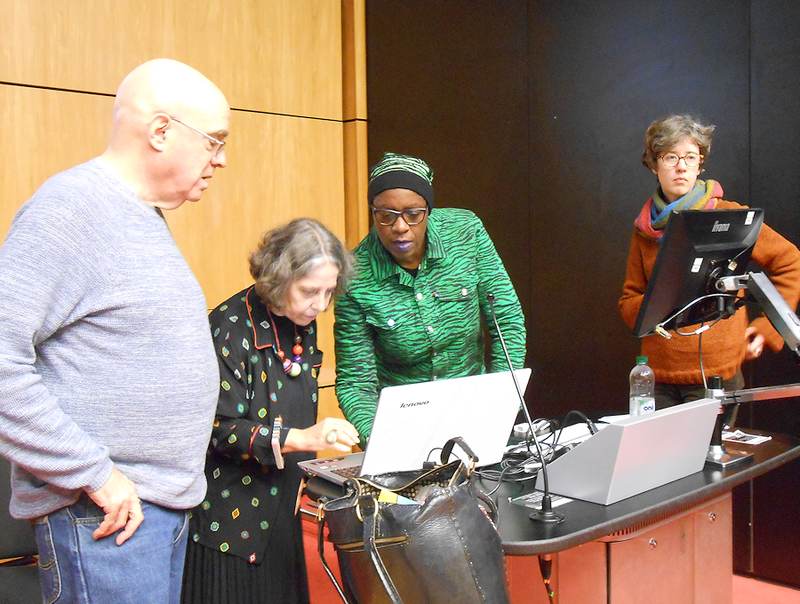 Both this and the final presentation by Lorna Hamilton-Brown underlined the importance of collecting oral history from living knitters of all backgrounds. 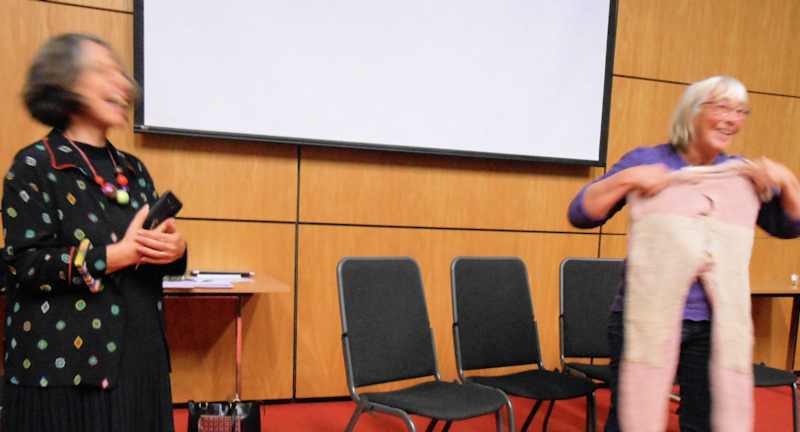 Lorna’s paper on black knitters was both revelatory and entertaining, enlivened by a brilliant video, ‘Knitters of the Caribbean’. 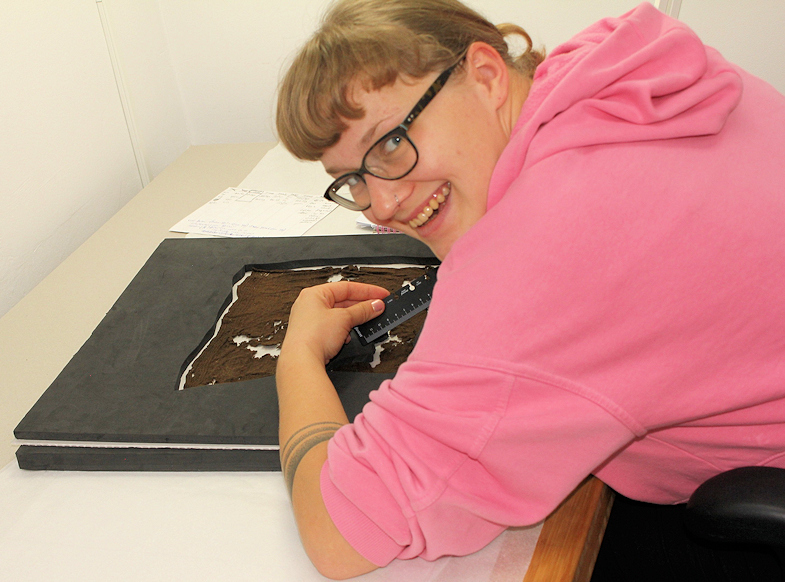 Securing funding for further, doctoral research is vital. The memories Lorna collected from older generations of black knitters in the Caribbean showed similarities to otherwise very different geographical and cultural knitting traditions, such as knitting needles made from palm leaves, a practice also found in Malaysia, or more expensive metal bicycle spokes, still frequently used in Peru. 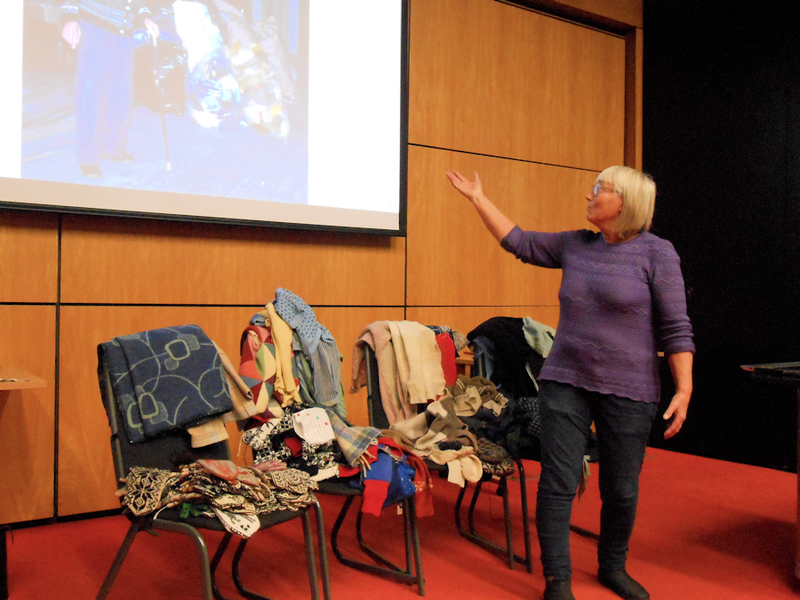 Sandy had loosely arranged the conference presentations around a theme of mending and repair. Other themes emerged during the course of the day, such as recovery of unexplored, hidden or unvalued histories of knitters and knitting; of moving beyond limits of tired tropes and preconceptions; of fresh methods and fields of research; of breaking new ground while re-considering and consolidating the old. One point certainly highlighted by all six presentations is that the ingenuity and resourcefulness of knitters, crafters and needleworkers everywhere is unbounded. The KHF AGM in the morning was hopeful in outlook, with suggestions for future events and new ways for Knitting History Forum to participate in wider discussion and continue to build up networks of knitting history research. The display tables held an eclectic array of knitting-related items, including exquisite nineteenth-century garments and a stunning modern reproduction from the collection of Gieneke Arnolli; modern publications by Annemor Sundbø, Rachael Matthews and Lise Warburg; nineteenth and twentieth-century knitting books brought by Joyce Meader from her extensive collection; new work by Philippa Thomas incorporating real gold, and much more. 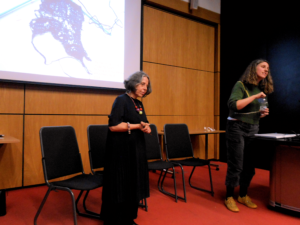 Many thanks to all of our fantastic speakers for their papers, our delegates for stimulating discussion and to Sandy Black for arranging another really thought-provoking conference that could be enjoyed by scholars and knitters of all levels of interest. KHF Membership Secretary and Treasurer Tricia Basham deserves special thanks for valiantly joining us straight after a very long Knitting and Crochet Guild board meeting. It was wonderful to see friends old and new and see the results of some exceptional scholarship. Here’s to another excellent year of knitting history networking and research.